Get off the pine, grab your favorite bat - or Wii Remote - and step into the batter's box in The Cages: Pro Style Batting Practice. Take your hacks against the smartest pitching machine around. 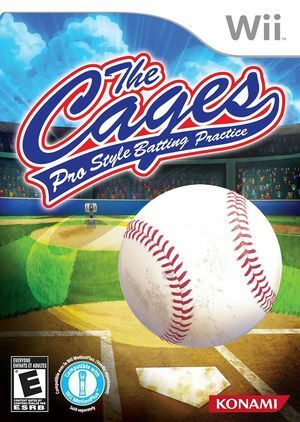 Step your game up using The Cages then use your newfound skills to dominate your friends in small batting mini-games. The Cages pitching machine will dish out a pitches to mirror like fast balls, cut fast balls, 12-6 curves, sliders, off-speed pitches and more! Take your new found skills and compete against your friends in home run competitions or challenge yourself by challenges that require to spray the ball to all areas of the field. The Cages will help players to hone their hand-eye coordination and put them on track to be a digital hitting menace! The graph below charts the compatibility with The Cages: Pro Style Batting Practice since Dolphin's 2.0 release, listing revisions only where a compatibility change occurred. This page was last edited on 18 January 2018, at 00:40.